The installation of an External Manual Bypass System (EMBS) provides for a manually initiated no break transfer of your load from the UPS output to the mains supply. The transfer procedure is interruption free and provides for isolation of the system for undertaking routine maintenance, servicing, testing or repair. 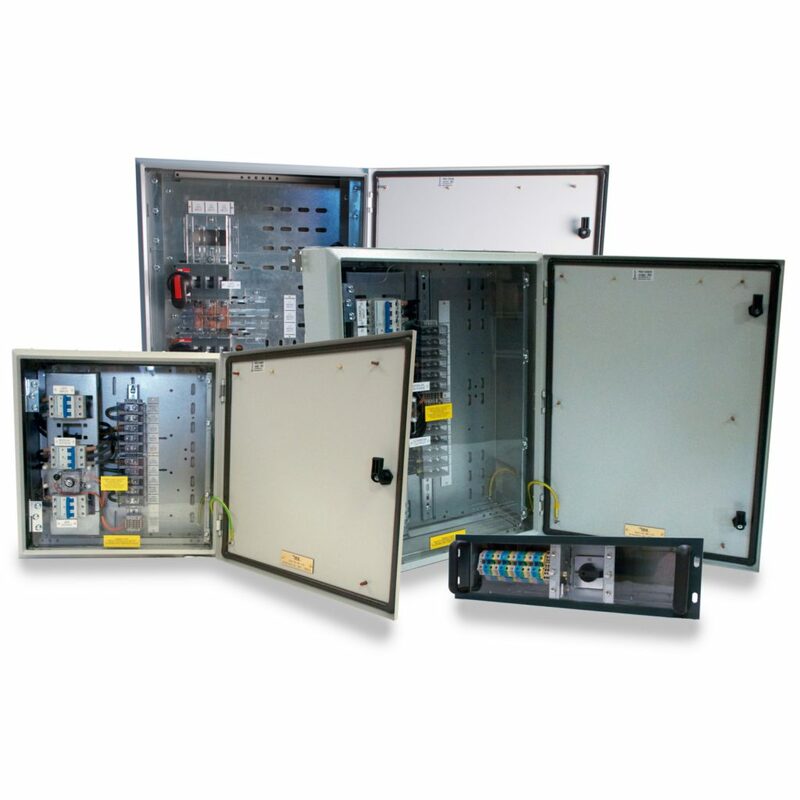 EMBS’s can be arranged 19” rack-mounting, wall or free standing dependent upon system rating and can be supplied for both single and parallel systems. Provides for complete isolation of the system for maintenance, service, testing and repair. Electrical or ‘Castell’ interlocking to prevent inadvertent switching (optional). IP rating options to suit the environment. Plain or glass door options. Can be supplied to customer specified internal separation forms of construction in accordance with BS EN 60439-1. Self-contained unit housing all necessary switchgear and terminations. Spare ways for future upgrade. Bottom, top or side cable entry including the provision of dedicated cable ways if required. Output distribution options combining both UPS and Non-UPS supported outputs. TEMPEST Filters – to prevent interrogation of conducted lines in high-security applications such as IT & communications and command and control facilities. Provision for connection of external load bank.